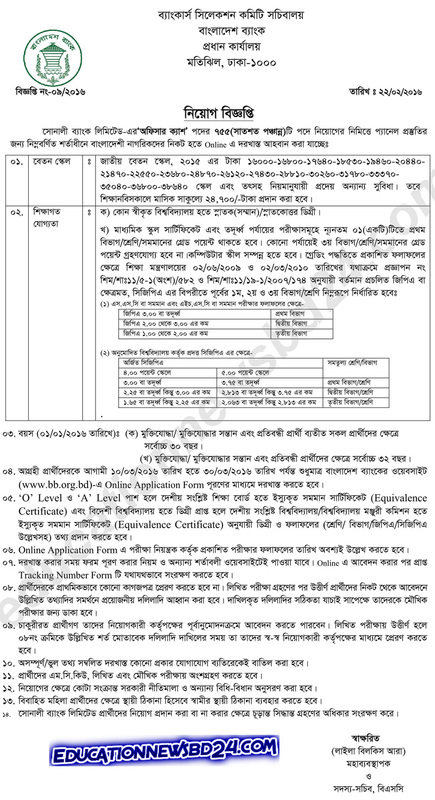 Sonali Bank Job Circular 2016 Amendment 2017 updated on 12.01.2017. Sonali Bank Limited will recruit 755 vacancies for the post of Officer Cash for the year 2016. 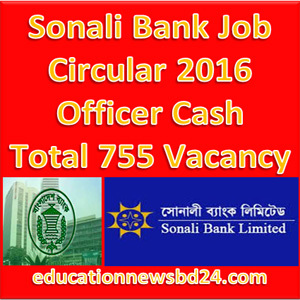 Sonali Bank Job Circular 2016 Officer Cash has been found here. 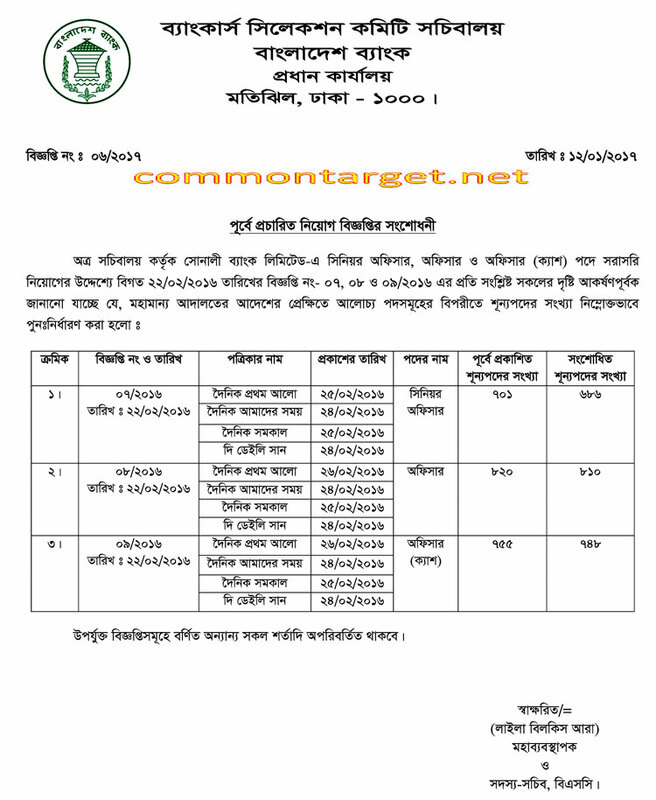 SBL New Job circular 2016 for the post of Officer Cash published on 22 February 2016. Interested candidates must have four years honours/master’s degree from any government authorized university with at least one first class or equivalent CGPA for Officer Cash with no 3rd Division/Class in any of the examinations. Age Limit: 30 years (Date on 01.01.2016) for all, except Freedom Fighters/Child of Freedom Fighters and physically disable candidates.